What is the Best Tasting Protein Bar for Women Over 40? For women over 40, or any age for that matter, the selection of protein bars available is mind-boggling. 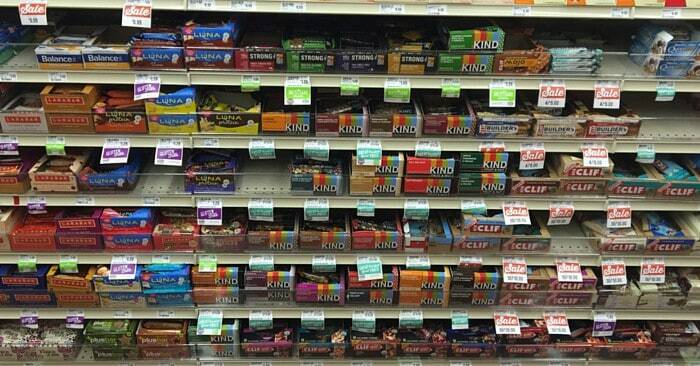 There are only about a million different protein bars to choose from when standing in the aisle. Okay, maybe not a million, but so many it can be overwhelming to choose the best tasting protein bars for women. They all promise great things and entice us with their candy bar names. I have fallen for the fabulous looking turtle brownie protein bar, biting into it and realizing it was more like turtle cardboard. I decided to take one for the team and try a variety of the best tasting protein bars. The goal is to help you decide which bars actually pack the best taste in combination with the nutritional benefits we expect. Although the Luna Bar isn’t among the highest in protein, I really enjoy their bars. This chocolate peppermint stick flavor is a great combination with a healthy taste. While it is sweet enough to curb sweet cravings, it isn’t so rich that I feel overwhelmed. Luna made a great decision when they coated the bottom of this bar with the peppermint mixture. The consistency reminds me of the granola bars with yogurt on the bottom. This bar has a nice refreshing after taste of peppermint. 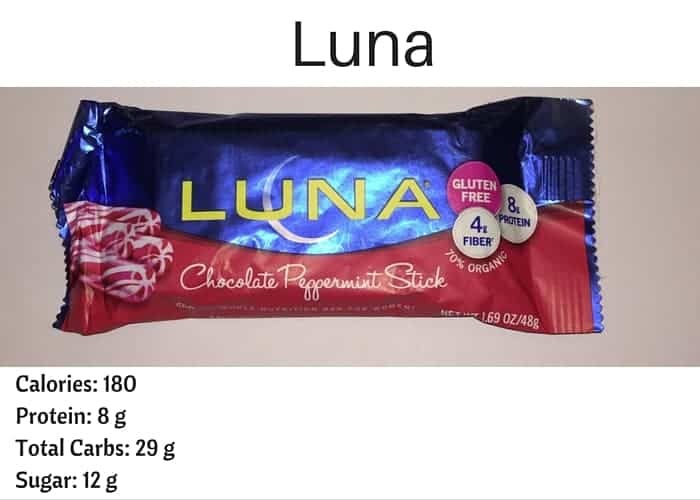 The gluten free Luna Bars come in a great variety of flavors targeted to meet the cravings of women. Luna Bars are a goto for me when I want more of a flavor packed bar. Remember being a child eating the brownie Little Debbie snacks? My first bite into this protein bar reminds me of those brownies. The same moist chocolate brownie taste that was oh so delicious! 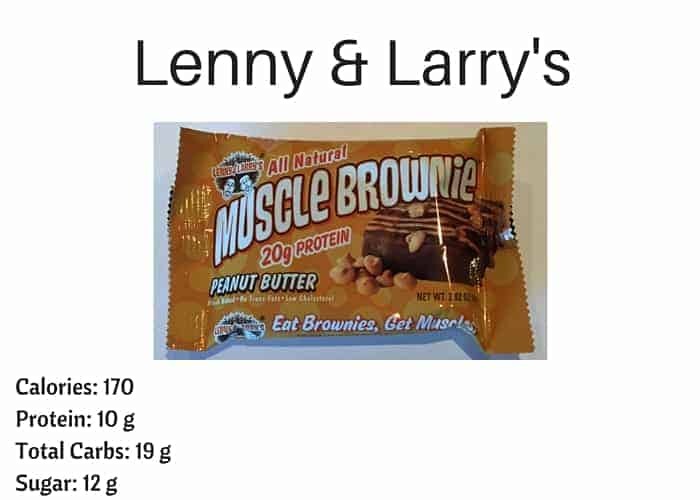 The drawback of the Lenny & Larry’s Muscle Brownie is the peanut butter. Something doesn’t quite taste natural about the peanut butter that is drizzled over the top. Overall, this is a pretty good bar in terms of taste, especially if you’re craving a brownie! The nutritional value of this bar is moderately proportioned for an afternoon snack. I would have this bar if I couldn’t shake the brownie crave and will be giving their other flavors a try. A great option for women over 40. CORRECTION: This Lenny & Larry’s Brownie is a 2 serving bar. Information above is for 1 serving. Love fudge? This could be the bar for you! First impression is how great the caramel taste is coupled with a thin chocolate coating, high protein content, ZERO, yes, ZERO sugar this is a power packed bar that I could eat often. The hesitation to be my goto bar would be the after taste. 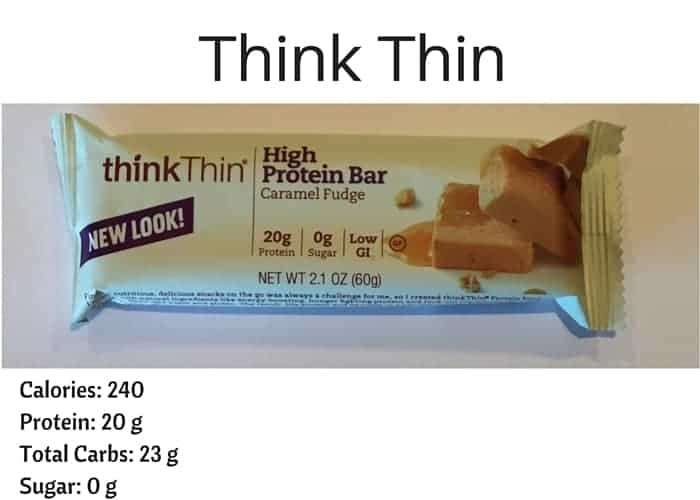 If Think Thin could master that, this protein bar would always be in my pantry. I mean, the name alone makes you want to eat more…right??!! For women over 40 who are watching their sugar intake, this is an excellent option. The Larabar is a completely all natural protein bar that packs a powerful taste while screaming healthy to every bone in your body. Seriously, this is a great tasting bar! I love that it is all natural. Kind of sad that it is so scantly sprinkled with protein. This would be the bar to grab for a natural sugar kick without needing the protein other bars offer. Be sure to check out the wide variety of flavors. Carrot cake, banana bread, key lime pie….yum! Hmmm, this protein bar is on the ho-hum scale. While it does make me think of the Whatchamacallit candy bar, Zone Perfect didn’t knock my socks off with this flavor. The mediocre taste is balanced with a fair amount of protein, although for not having any fruit, the sugar content seems a bit high. Probably not one I would get again unless the choices were narrowed. 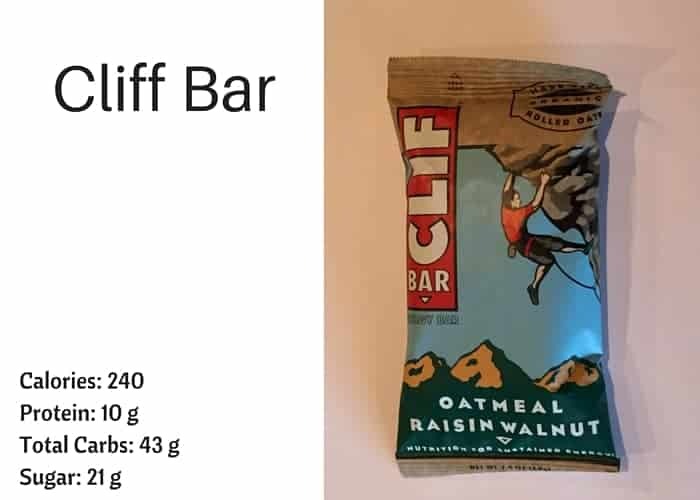 The Clif Bar always does a fabulous job with taste and texture. The Oatmeal Raisin Walnut protein bar was one of my favorites before I began to pay more attention to protein. Their Oatmeal Raisin Walnut protein bars are fresh and moist just as you would expect an oatmeal cookie to be. If your teenagers need a protein bar, this is a great brand to stick with. The Quest Bar is the Lamborghini of the protein bars. Quest Bar spared nothing with it came up with a perfect formula of taste, high protein and low sugar combinations. They have an endless variety of flavors including a new Fall Pumpkin Pie bar for a limited time. Also, have you seen the Quest Bar commercials showing the creative recipes made with their bars and protein powder? These bars deserve to be in your pantry before the day is over. For women over 40 with no health concerns, this is the one for you. This is a nut candy bar disguised as a protein bar! I could seriously eat a couple of these everyday. This Kind bar is visibly delicious with the ingenuous wrapping that grabs you from the second it catches your eye. While this is low on the totem pole of protein, it can’t be overlooked based on the taste and natural ingredients offered. Definitely a bar to keep in your repertoire of snacks on the go. 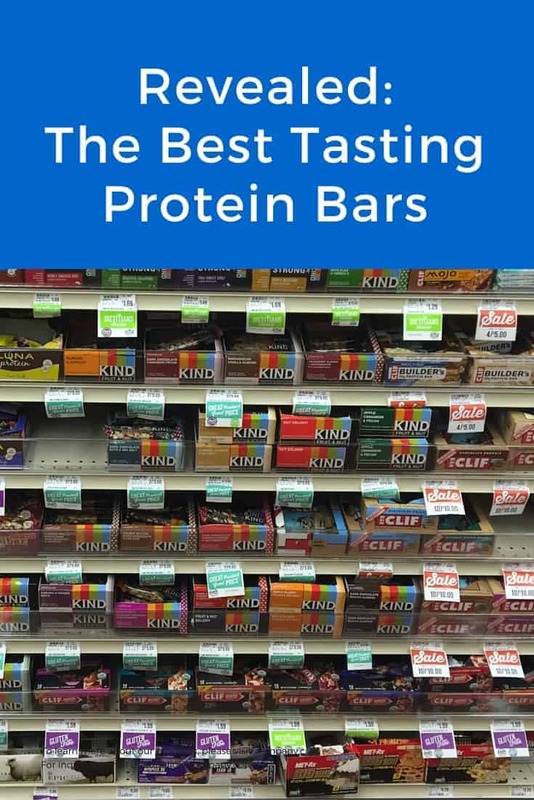 Now you have several great bars to choose from when standing in the overwhelming protein bar aisle at the grocery store. Go grab a few to try today! Did I miss one of your favorites? If so, tell us what you love and why. I eat the Isalean bars from Isagenix. Really good tasting and healthy at the same time. Quest bars are my favorite, for both taste and quality. I would love to win something that is actually healthy and tastes good. 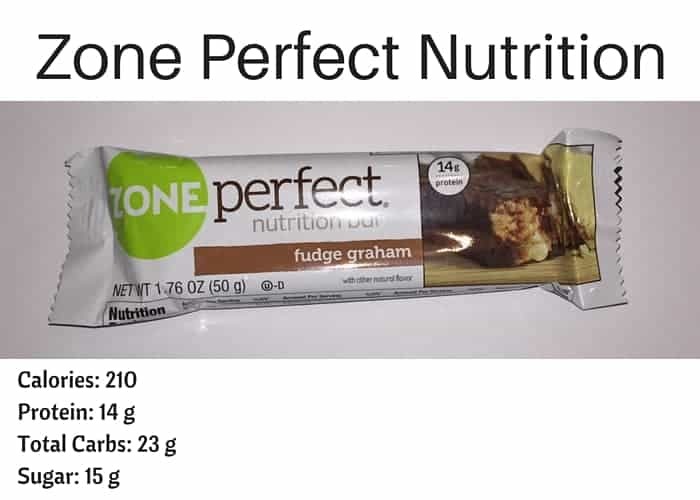 I like the pure protien bars they are high in protein and low in sugar. Judy, Thanks! I will have to give them a try! 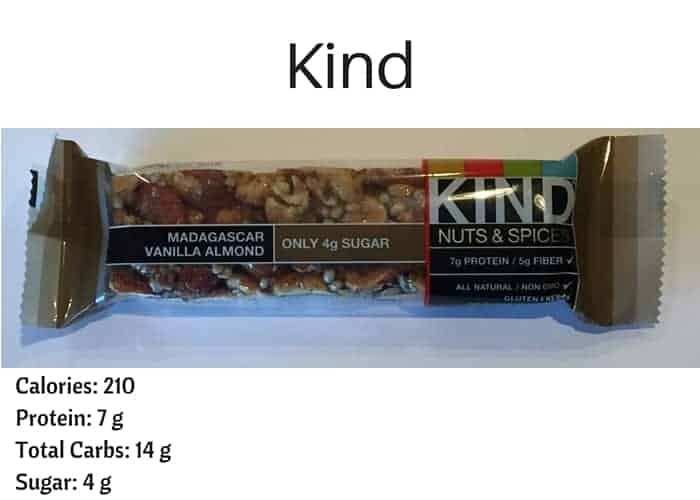 I ADORE Kind bars! Some of these sound tasty! Agreed! I recently tried the blueberry ones. Another must try if you haven’t already! Thank you for this great review! I have only tried a couple of the ones you mentioned and I tend to only stick to those ones. I will have to try some of the others. I am so glad you enjoyed the post! Yes, definitely give them a try! Thanks for reading. 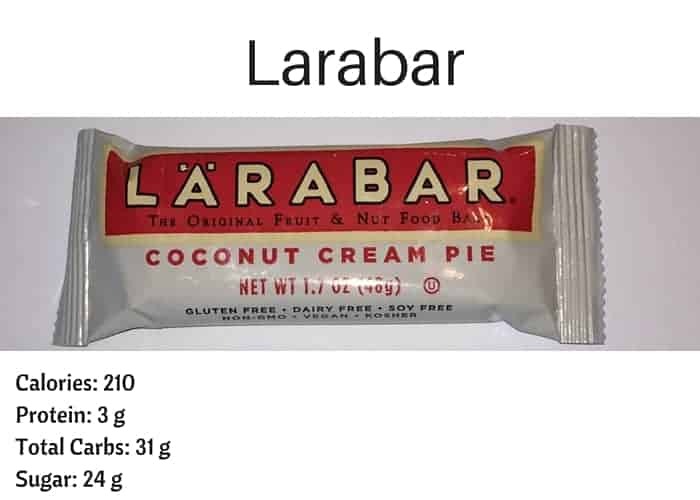 Karen, Low carb options can be difficult to find in protein bars. Hope some of these lower carbs are helpful for you. Quest uses the Adkins’ carb calculation and markets with net carbs. 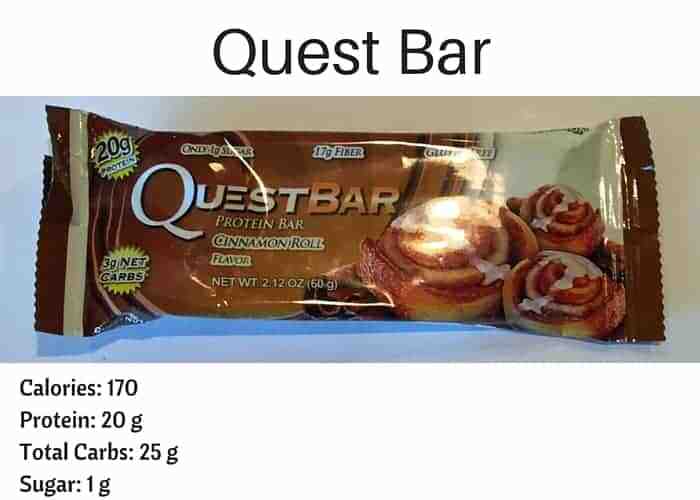 Yes, Quest bars are good! Have you tried any of their other products? Thanks for reading! I LOVE the Lenny & Larry chocolate brownies…so good, but high calorie. Can only eat 1/2 because whole is 340 CALORIES!!!! I love most of these protein bars, but I’m discouraged by the amount of carbs:( Great review…thanks. Wow, you are so right about Lenny & Larry’s brownie bars…those sneaky rascals! I did not think to make sure the bar was only 1 serving. There are 2 servings in that bar. I will make that correction now. Thanks for reading! I personally think that Quest bars are the absolute best in terms of taste and quality! I know people who love them so much they cute them up and bake them as cookies! Thanks for sharing! Quest has some really elaborate recipes using their products. I will have to give them a try sometime.